Where Aleister Crowley taught magick in "La Chambre Des Cauchemars," his "Chamber of Nightmares." Nestled in the beautiful countryside of Tuscany in Northern Italy the museum not only functions as a interesting, albeit slightly grisly, tourist attraction but also serves to call attention to modern human rights abuses. Their website states, “our commitment, which we share with all who are interested in combating violence… is to show how throughout the centuries human beings have been tortured…” This take on the prevention of human rights abuse is an interesting one, it is as if you blended the dungeons in the Tower of London with an Amnesty International office. The museum focuses on the intersection of legislature and bodily punishment, partnering with the Museum of the Death Penalty just down the street. One of the most terrifying or interesting (depending on your taste) device housed in the exhibit is the Maiden of Nuremberg. It is a huge sarcophagus with a swinging door, which opens to reveal metallic spikes that point inwards, ready to impale the victim. The lining of the chamber is incredibly thick, allowing no screams to be heard once the door is closed. Once placed inside the coffin the victim could be repeatedly stabbed for hours, if not days by slowly opening and closing the door. 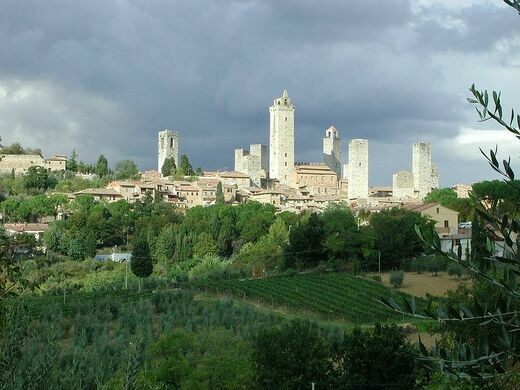 Although the museum is located in San Gimignano it has sponsored exhibitions of some of its more interesting pieces across the globe, from Argentina to Tokyo. These traveling exhibitions serve two purposes just like the museum itself. Not only do they offer an interesting window through which to glimpse some of the darker moments of human history, but also serve as a reminder that torture, albeit not in the same form still exists in our world today. Abandoned cemetery of the former Psychiatric Hospital of Volterra. This real life asylum of horrors is now an abandoned ruin that hides the unbreakable code to one patient's insanity. 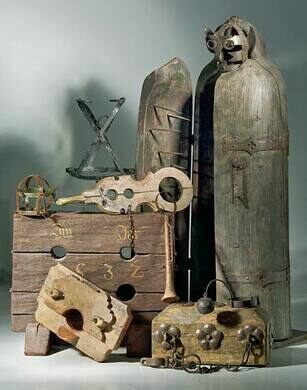 Horrifically creative torture devices and shame punishments line the walls of this chilling museum.